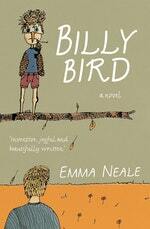 Emma Neale, a poet and prose writer, was born in Dunedin and raised in Christchurch, San Diego CA, and Wellington. After gaining her first literature degree from Victoria University, she went on to complete her MA and PhD at University College, London. She has written five novels — Night Swimming, Little Moon, Relative Strangers, Double Take and Fosterling — and a number of poetry collections, and has edited anthologies of both short stories and poetry. Neale won the Todd New Writers’ Bursary in 2000, was the inaugural recipient of the NZSA Janet Frame Memorial Award for Literature (2008), and was the 2012 Robert Burns Fellow at the University of Otago. Her poetry collection The Truth Garden won the Grattan Award for poetry in 2011, and Fosterling was shortlisted for the Sir Julius Vogel Award in 2012. 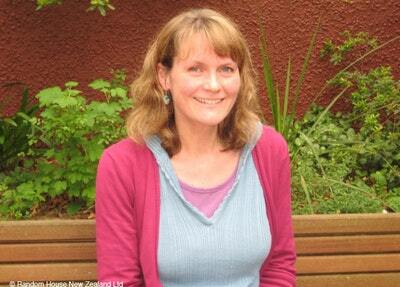 She teaches, works in publishing and looks after her two young sons. Neale blogs at emmaneale.wordpress.com. Night Swimming was described by Pam Henson as a ‘careful dissection of experience into observation, exploration and response’. Graham Beattie declared: ‘Read the first chapter . . . and you will be unable to put the book down.’ In the Evening Post, John McCrystal described Neale’s second novel, Little Moon, as ‘flawlessly written, deploying a wealth of descriptive imagery’. Double Take, a novel which focuses on a young woman’s quest to establish her own identity and lead an independent creative life in a world beyond her family, has been described as having ‘unusual readability, thoughtfulness and very fine characterisation’ (Dominion Post). Relative Strangers,‘a thoughtful, carefully crafted story’ (Dominion Post), ‘reminds all mothers of what matters most: motherhood’ (Louise Wareham, The New Zealand Listener). Margie Thompson, writing in Next magazine, summed it up: ‘The magic of Emma Neale’s new novel lies in her deep understanding and evocation of the drama of everyday life: the love of a mother for her child, the devastation of infidelity, the need of an adopted person to know where they come from.’ Reviewing her fifth novel, Fosterling, in The New Zealand Herald, Paula Green found the novel ‘testament to her virtuosity with words. She writes with intelligence, heart and a poet’s lyricism.’ Louise O’Brien, writing in The New Zealand Listener, commenting on its ‘emotional power’, called the work ‘a lyrical and nuanced exploration of social exile’. Be the first to find out about Emma Neale.